In July 2016, on my second day of work at Center for Health Progress, I went with my brand new coworkers, Jessica Nguyen and Joe Sammen, to Colorado Springs for the annual meeting of the Colorado Network of Health Alliances. The Network is a group of local health alliances, spread across the state, that had been coming together since 2012, with our support. While Jessica and Joe planned for and led the day’s activities, I was there to soak up as much content as possible and to introduce myself to health alliance leaders who I would be working with in my role as the facilitator and convener of the Network. Over the same two year stretch, Center for Health Progress went through a metamorphosis, which continues today. We changed our name and shifted our mission and long-term goals. We made a public commitment to health equity and are working to live out that commitment each day. We built a community organizing program to build the leadership of and take direction from those most impacted by unjust health disparities. We launched Waiting for Health Equity, and are getting ready to begin EquityLab, as strategies to build the capacity of leaders to take action toward health equity within their organizations. We've also transitioned some programs, including the Colorado Network of Health Alliances, out of our work in order to make room for new initiatives to thrive. The decision for us to move away from convening the Network was not taken lightly and was done with the intent of transparency and honesty. I began conversations with health alliances nearly a year ago. After gleaning information from individual discussions, surveys, and meetings to understand the current landscape, health alliances’ perspectives on our role as a convener, and desires for future collaborative priorities, it became clear that it was time for a change. 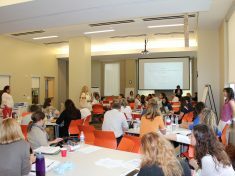 Health alliances have been in conversations with each other to discuss how to move ahead in any collective efforts, and we continue to partner with many of them to work toward health equity in Colorado. I want to express my deep gratitude for the commitment of health alliances to their communities and to Center for Health Progress. The successes of the Network and health alliances are a testament to what is possible when passionate people and organizations come together to make change. On that day in Colorado Springs more than two years ago, I could not have envisioned the meaningful relationships and partnerships I now have with people in that room. I look forward to seeing all the ways that they will continue to make Colorado a healthier and better place to live, as well as the new way ways we’ll all be able to work together in the future. Collective Impact Starts with Effective Collaboration Collective Impact: New Name, Time-Tested Strategy Fifteen Years and Still Going Strong Our Next 15 Years Starts Now!